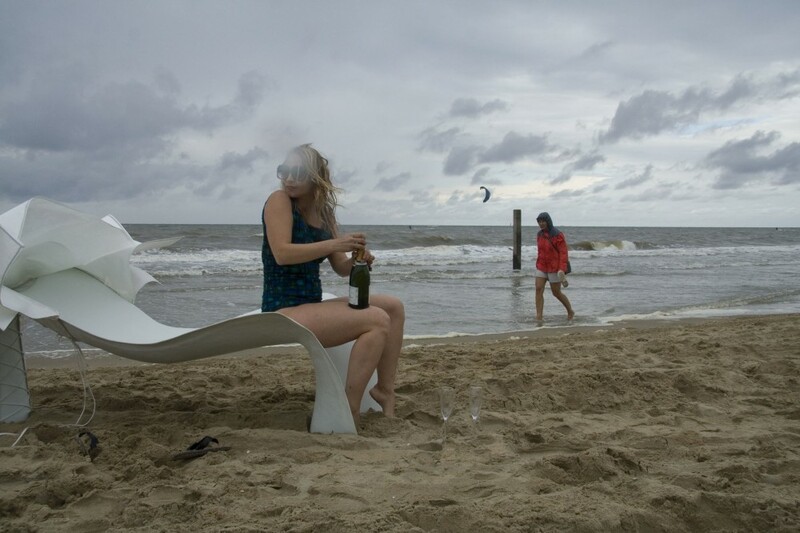 The design was motivated by the sensation and enjoyment of life. 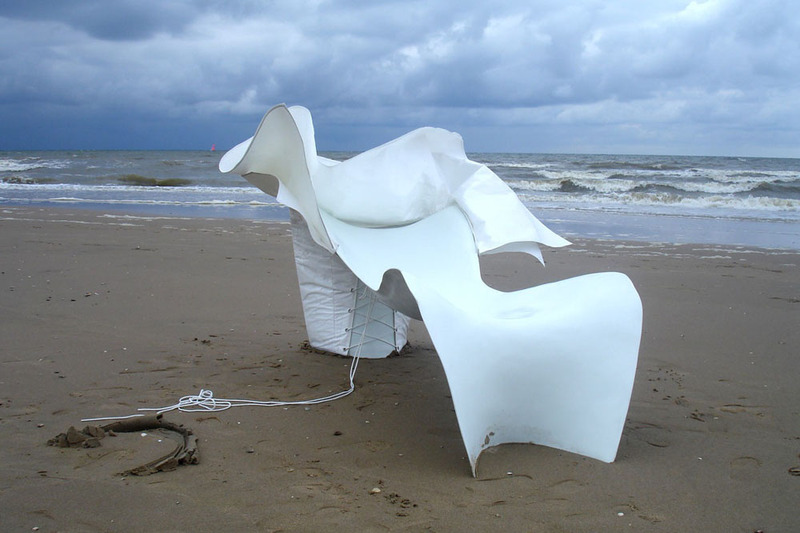 The main body of the chair is made from fiberglass and has a thin, floating shape. In addition to it, a flexible “collar” might be added for privacy. The prototype was handmade with GRP (fiberglass reinforced plastic) on a casting mould. It can also be made economic and ecologic by injection molding of WPC (wood plastic composite). The collar is made of sailcloth and is fixed with rope.